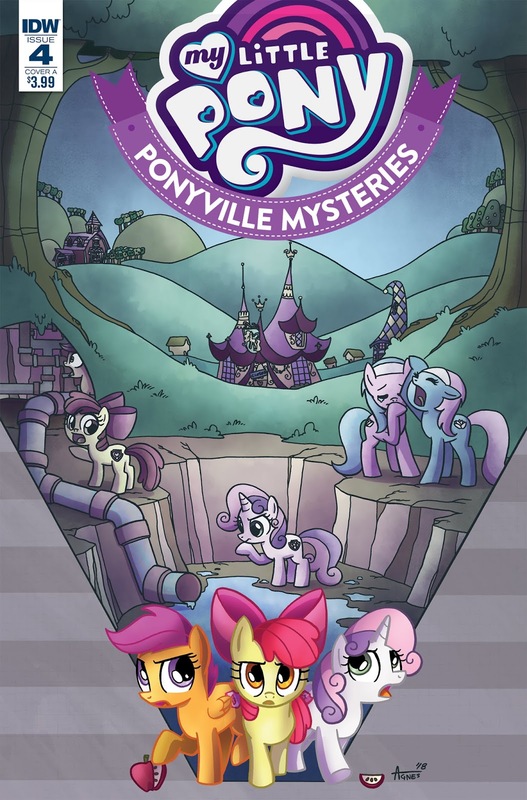 Here on this page you'll find an overview of all My Little Pony Ponyville Mysteries Issue νm; 4 Comic Covers, with a total of 3 releases. 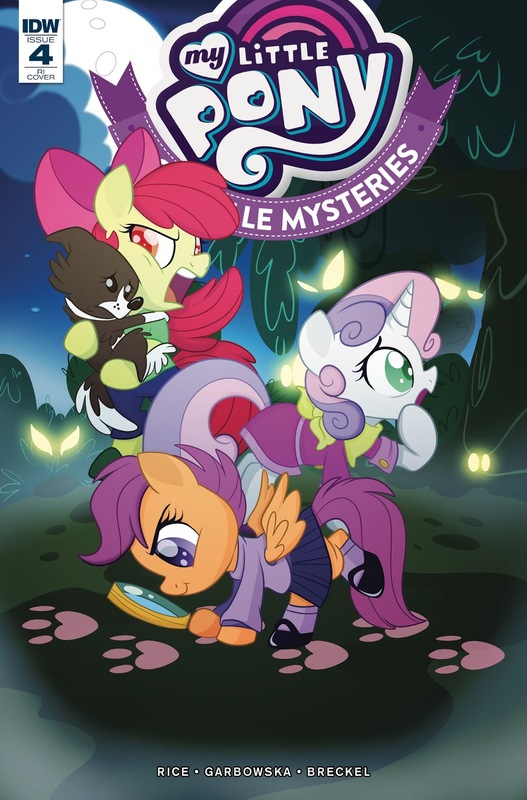 You can click on the Ponyville Mysteries Issue νm; 4 Comic Covers images to zoom in or click on any of the links under the images to see more releases of that type. 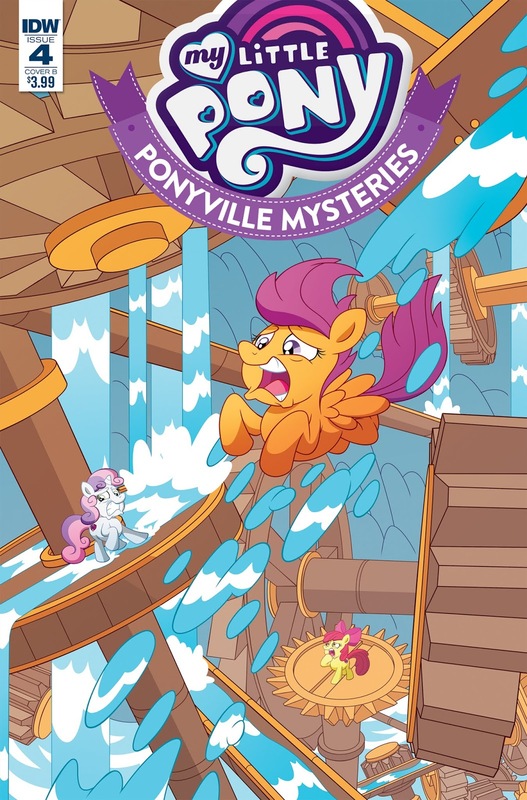 Summary: The Cutie Mark Crusaders are trying to solve the case of the missing spa water! 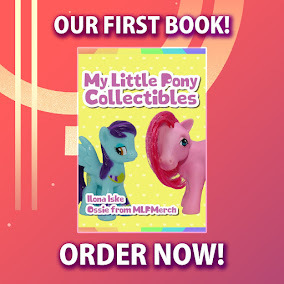 But what happens when all signs point to a member of a Crusader’s own family being the culprit?